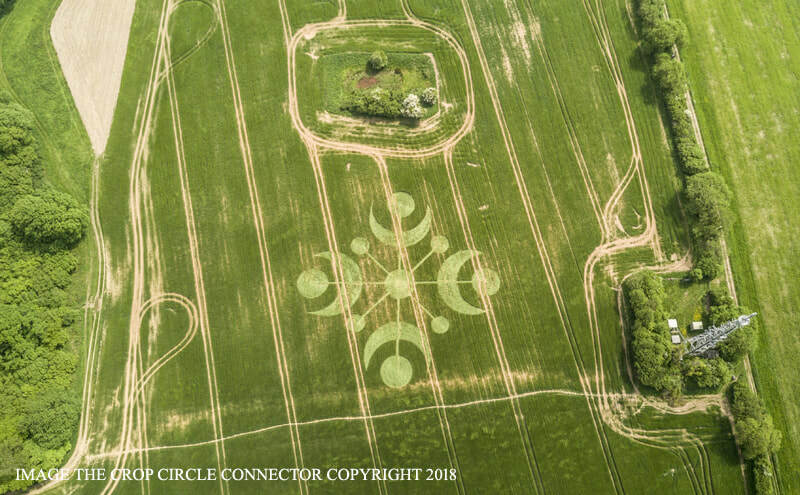 Here is an excerpt from my beginning experiences of my 20 years interest in crop circles from my little ebook The New Frontier: multidimensionality. 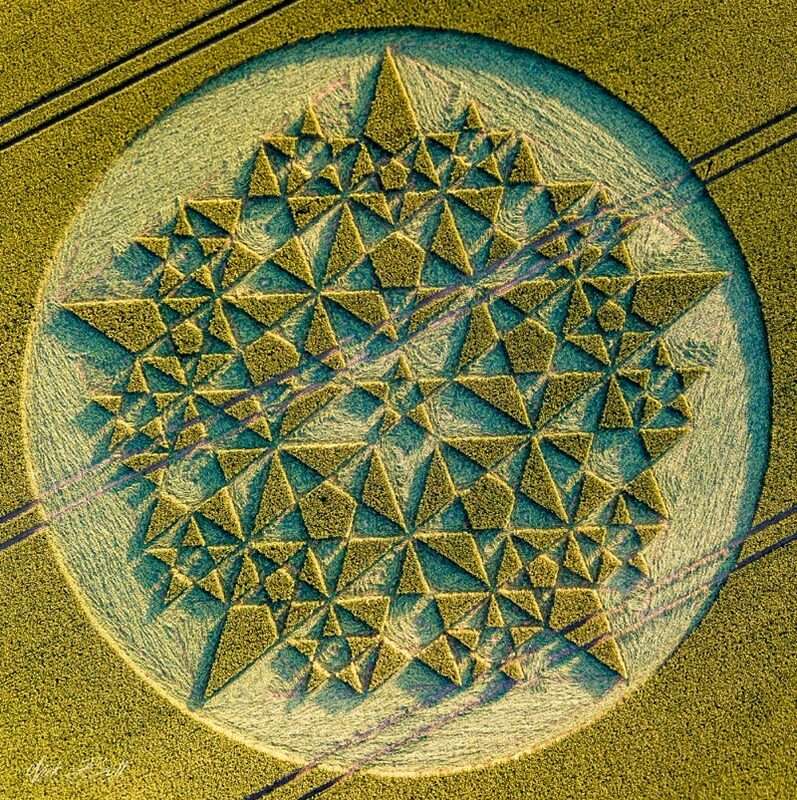 Eyewitnesses and many video accounts reveal that spheres of light are frequently seen above these fields, creating complex and geometrically precise designs in mere seconds. Supporting this theory are numerous accounts by researchers, either individually or in groups, focusing upon a chosen design, which mysteriously appears in a field of grain soon after that. In late 1996, I travelled extensively in a camper van through much of California and the Four Corners region of the United States, and in April 1997, I rented a beautifully located apartment for three months where I could look out to the mysterious mountain at Mt Shasta. I spent my days meditating and researching, meeting the locals, exploring the mountain, and taking photographs of lenticular clouds and landscapes, including the magnificent forests around Lake Siskiyou. Something ignited in me that Independence Day, and on the very next day, I signed off on my apartment and travelled north along the Oregon coast to Portland, where I sold my camper van and boarded an aeroplane for London, not really knowing why I was doing this. I was merely following powerful inner impulses. On arrival at Heathrow, I hired a car and followed my impulse again, which surprisingly, did not take me into London. Instead, I travelled west. That night, I stayed in a stunning bed and breakfast with a luxurious bath and the best of British humour on the radio. The following day, I gave free reign to my intuition again. It took me along the M3 to an arts festival in Marlborough, Wiltshire, which meant most of the accommodation was booked out. It was now July 12, 1997. Imagine my surprise when the gentleman giving me directions to a bed and breakfast drew a mud map of country lanes with the key locator being the latest crop circle at Alton Barnes, which was a massive tube torus overlooking one of the many ancient chalk horses that grace certain grassy slopes and fields throughout Britain. 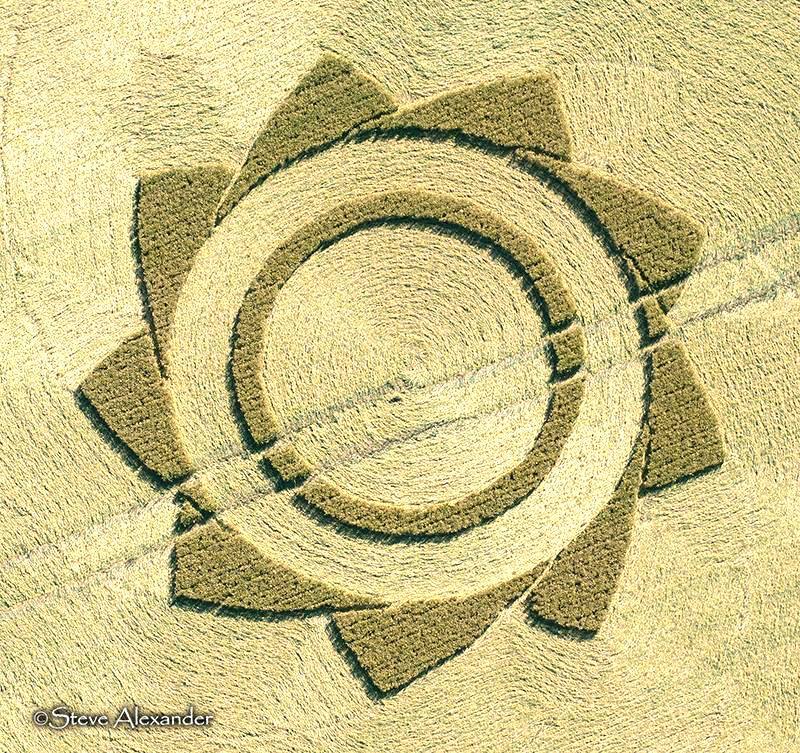 I imagine the Tube Torus will always be my favourite as it was the first crop circle that I researched. I sat in the centre and watched the sun go down over the ancient white chalk horse in the field at Alton Barnes, Milk Hill, Wiltshire. The dimensions of the immaculately crafted tube torus may be estimated by the size of the people (dots) as seen in the middle of the photo above. 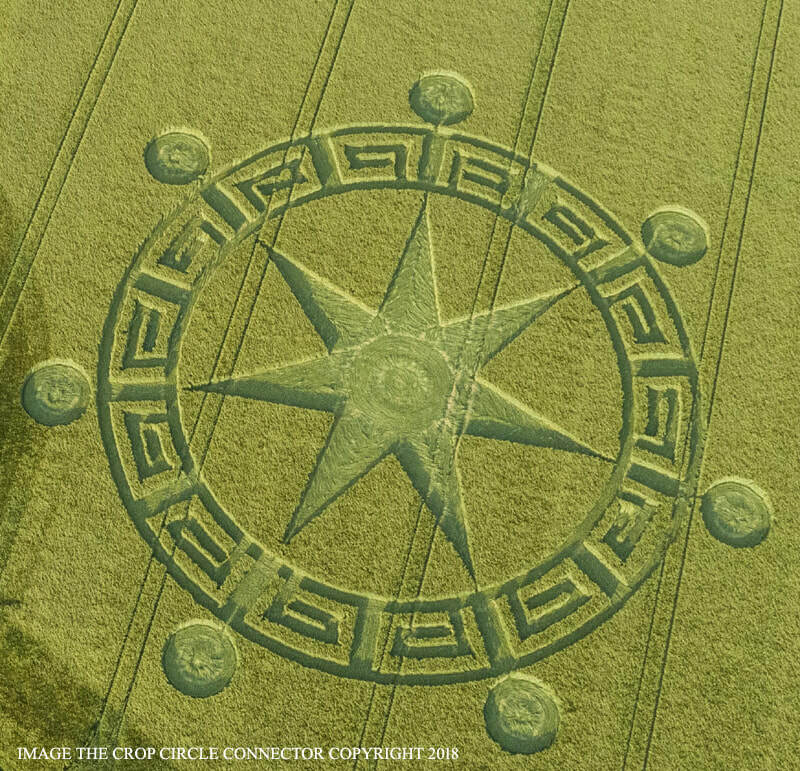 That evening, I watched the sunset from the very centre of this crop circle, overlooking an ancient white chalk horse to the left, and before me, I swear the Goddess was lying in the field in elegant repose. 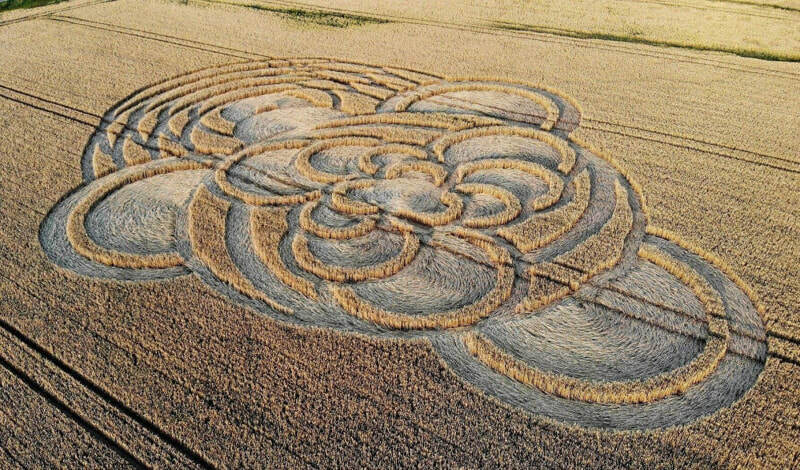 Thus began my ongoing study of crop circles and the role of the tube torus and its relevance to our understanding of life on Earth and throughout the Universe.